Generation Z is the first generation to have grown up during the smartphone era. Most of them use the smartphone more than any other device. At this point, making sure all of your content is mobile-friendly should be a given. 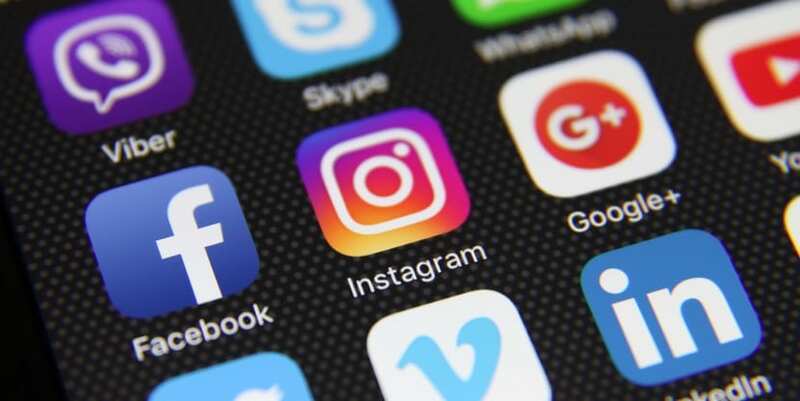 However, you should also begin designing marketing campaigns that specifically revolve around mobile marketing, such as through the use of mobile apps and mobile-based social platforms, such as Instagram. Like smartphones, few members of generation Z will know what it was like before the age of social media. They use social media more than anything else in order to learn about brands and the products or services that they offer. In fact, more than 51 percent of Generation Z use social networks when researching brands and products, compared to 45 percent of millennials. However, while you’ll still be able to find Generation Z on social networks like Facebook, they tend to prefer networks that their parents aren’t on, such as Snapchat, and often use more niche platforms as well. They’re also a bit more careful in how they engage having learned from the previous generation’s social media mishaps. Generation Z grew up on streaming video. They consume content on YouTube, Hulu, Netflix, Vimeo and more on a daily basis, which means that short-form video content is one of the best ways to reach them. Video content is also no longer as expensive to produce as it once was. As you adjust your content marketing strategy, you should begin emphasizing video content if you plan to attract audience members from generation Z. Read More About First Person Experience Videos Here. Generation Z has spent a large part of their lives online, which means that the usual marketing gimmicks aren’t going to phase them. They are only going to engage with brands that they believe to be authentic. The best way to show authenticity and to stand out from the crowd is to personalize your interactions. This can be done by treating them like individuals instead of marketing stats, communicating directly with them via social media, communicating your message quickly and clearly, and providing helpful and informative content that’s also entertaining and personable. Not only are these effective generation Z marketing strategies, they’re strong long-term strategies in general that you should begin implementing now. By using these generation Z marketing strategies, you will help position your brand for success even once generation Z eventually takes over as your largest audience. Some marketers make the mistake of trying to reach as many people as possible with their content. The problem with this is that your pushing information to people who are either not ready to receive it or not interested all together. Without tailoring your content to your specific audience at their buying stage and delivering it to the platforms where they actually consume messages you’re missing out on a huge conversion opportunity. Mix media marketing is the process of utilizing niche marketing to get granular with your messaging. Depending on your audience and their buying stage different platforms and messages will reach better than others. Email typically converts those at the middle or bottom of the funnel while social media is great to reach those at the top of the funnel. Let’s take a closer look at the different stages in the buyer’s journey and which mix media marketing strategies work best. The awareness stage is at the very top of the funnel and is a great time to just put your brand out there. At this point the buyer has a problem that needs to be solved but they might not even be fully aware of the problem or that there is a solution. During this stage educational content and strong SEO is key. You want to be found when users are searching and use keywords that resonate with their pain points. During this stage the buyer is aware they have a problem and is actively looking for a solution. You need to show your target audience that you can deliver the solutions they need and are a trusted source. You’ll want to get more granular at this stage and really tailor your messages to their needs. You can use segmented email messages that push buyers through the funnel. If your audience has made it this far in the buyers journey than you are one of the companies they are considering. Now is the time to really drive home why you’re better than the competition and develop an emotional connection. Imagine, if you will, walking out of a model home and before you know it…you see an ad for a builder just down the street appear on your cell phone. You think to yourself, “Hmmm…coincidence?” It’s not. With targeted marketing, you can pinpoint potential customers down to an address where they have visited. Targeted marketing is nothing new. Agencies and companies have been doing it for years. First through direct mail, then via email, using data points such as zip code, gender, household income, marital status, and age. But now, we have the ability to narrow our scope even more to truly reach those most qualified to purchase. Recently, a new client came to Stevens & Tate needing to attract more students to its private school. We discovered several factors that determined whether parents chose to send their children to this school. They could afford it. It was close to their home or work. And it provided the type of education they wanted for their child. To reach this very specific audience, we advertised on social media. Social media sites such as Facebook gather a great deal of information about their users from information the users provide themselves. These sites also monitor behavior patterns. As a result, we were able to do niche marketing, advertising to select neighborhoods around the school and in local employment corridors. And we focused our message on the benefits this private education offered. After the first month, the school recorded an increase in attendees to the parent information sessions. Learn more about Effective Marketing Strategies For A Changing Economy. Targeted Marketing On Radio? Yes. One of Stevens & Tate’s clients needed to build ticket sales for its classical music concerts. After researching the prior season’s data, we discovered that the majority of concertgoers came from a 20-minute or less drive of the venue. So we incorporated online radio into the media mix to aim our message at those who would have an affinity for the brand. The beauty of this targeted marketing plan was that we could reach listeners with a preference for classical music. We were able to narrow down our audience not only to those who lived in a specified geographic area but also to those who exhibited classical music listening habits. The result was a 25 percent increase in year-over-year show attendance. For a Chicagoland homebuilder with a new property in the city, we wanted to reach home shoppers living near the neighborhood as well as those holding certain job titles. Rather than choose a medium to advertise on, we chose a very small group of people to reach out to. Using a digital hyperlocal marketing campaign, we were able to serve ads to a very niche market segment—including those who had recently used a home finder app. 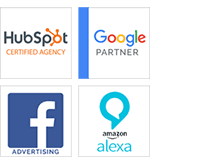 We served ads to these individuals multiple times via multiple vehicles including desktop, mobile and in-app ads; emails; social media newsfeeds; and native content based on online search history. Since launching the program, sales at the community have increased 50 percent. These are just a few examples of the power of a targeted marketing campaign. And new digital technologies are being unveiled all the time. At Stevens & Tate, we partner with multiple media sources to devise just the right targeted marketing campaign for each of our clients. If you are looking for an agency that can help you move from a shotgun to a rifle approach to marketing, contact Stevens & Tate and see if we are a fit. In the past few years, the retail marketplace has changed significantly. New technologies are impacting consumers’ attitudes and purchasing decisions. To stay successful, businesses need to evaluate and update their marketing strategies, programs and processes on a consistent basis. As the new year approaches is an opportune time to do so. Stevens & Tate released a white paper discussing 13 key marketing initiatives to improve success. Below are a few items you can start focusing on today to make an impact in the upcoming year. The media landscape is constantly changing—new technologies and trends are emerging rapidly and existing platforms continue to evolve. This is providing new opportunities to market to your target audience. To reach today’s consumers, create a strategy that not only reaches them where they are looking, but also addresses what stage they are in the buying cycle. Remember that media planning is not one size fits all. Develop your media strategy around your core audience, focusing on mediums where they are most engaged. However, don’t overlook the value of creating integrated campaigns with related messages across multiple platforms. This allows you to significantly increase your reach and frequency to build awareness, interest and interaction among those who matter most. Will Apple’s iTunes Radio Put a Lock on Pandora’s Box? Apple recently announced an addition to its new iOS7 software, which will incorporate its own version of Pandora’s Internet Radio service titled, iTunes Radio. The service will function very similarly to Pandora, but will harness the data accumulated through the user’s iTunes account in order to see what music the listener currently likes, has liked in the past, and takes both into account when selecting new music for them. Unlike Pandora, iTunes Radio will feature the ability to “tune” each station selection based on whether the listener wants more of the music to be familiar or new to the—a feature foreign to Pandora listeners. https://stevens-tate.com/wp-content/uploads/STLogo-websml-biggerAM.png 0 0 Debbie Szwast https://stevens-tate.com/wp-content/uploads/STLogo-websml-biggerAM.png Debbie Szwast2013-06-28 15:09:122018-08-16 00:59:16Will Apple’s iTunes Radio Put a Lock on Pandora’s Box?